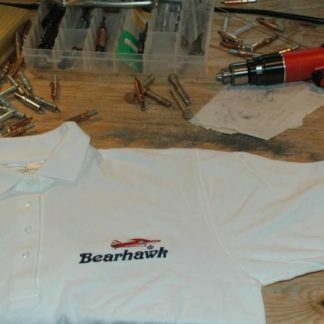 This is by far our most colorful shirt! 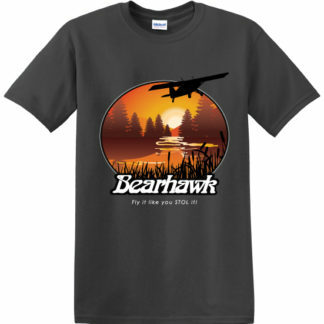 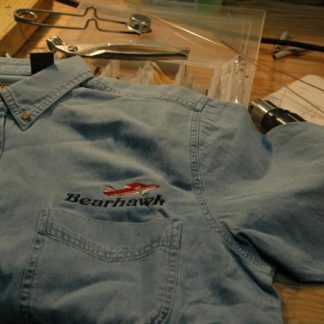 The front has a large multi-color logo with a Bearhawk flying off over a sunset mountain scene, with the black and white “Bearhawk” logo at the bottom. 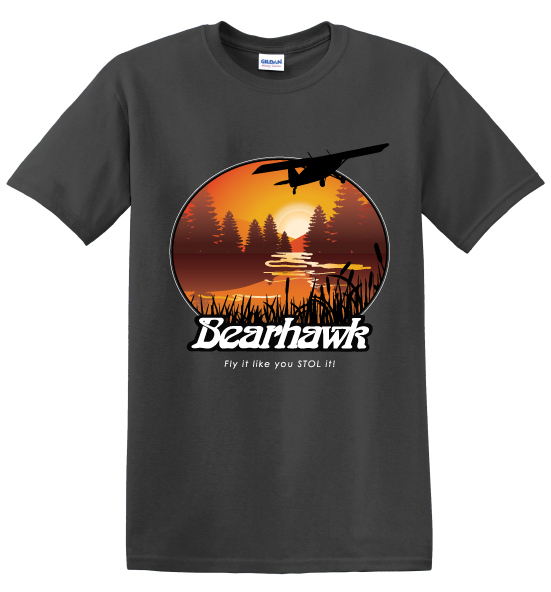 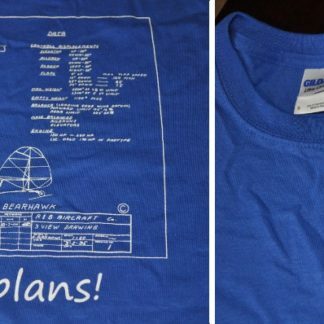 Under the logo is the line “Fly it like you STOL it.” The shirt is a nice Gildan Ultra Cotton in Charcoal Gray.